As professionals in the beauty industry, if we want to continue elevating ourselves as well as our industry as a whole, we must make it a priority to continue our education, long after leaving beauty school. At Sola, we are always striving to provide top education, whether digital or in person, so no matter what kind of learner you are, or what your specialty is, you always have the tools and resources you need to stay ahead of the curve. Make it your mission to explore at least one of these resources this year, and we have a feeling once you start the fun won’t stop. Did you know that as a Sola professional you have an entire library of educational tutorials and how-tos from top brands and industry veterans available to you for free?! “How do I get all of this awesome content?” you may ask. First, you have to download the Sola Pro app, then once inside, head to the Education section. Here you’ll find tabs labeled “Videos” and “Tools & Resources” which are home to hundreds of educational videos on trends, techniques, business, and more — you’ll even find information about tax preparation! In addition to these stellar knowledge bombs, Sola Pro also offers tons of exclusive Sola deals and all our latest blog posts so you never miss an opportunity to run your business like the pro you are. Before understanding the importance of KPIs, you have to know what KPIs are. KPIs are Key Performance Indicators. This is data that helps you measure the success of your business and take note of where there is room for growth. As a business owner, you have the power to determine how you want to measure your performance. Do you want to increase your clientele? Maybe you want to decrease your hours in the salon but maintain the same income. Or perhaps you want to increase your average service ticket. No matter what it is, setting strategic goals are only effective if you have the tools to measure your success. Research various online booking and business management tools to find one that helps you easily create customized reports. Some metrics you'll want to look for include average ticket per service, retail per client visit, gratuity and repeat booking rate. You can’t spell social without Sola! Ok cheesy, we know.. But seriously, we absolutely love connecting with all of you on social media! We’re constantly sharing helpful tips, how-tos, blogs and tricks on all our social channels. So whether you like Facebook, Instagram or Twitter, be sure you’re following us @solasalons! This year, be on the lookout for some awesome Instagram takeovers and Facebook Lives from pioneers and educators from some of the industry’s top brands, who will be sharing exclusive education about their products and specialties. If you haven’t been to a Sola Session yet, you don’t even know what you’re missing! This year we are bringing the Sola Sessions to San Diego on May 6 and Nashville this Fall for two opportunities to learn first-hand from the industry’s top educators! 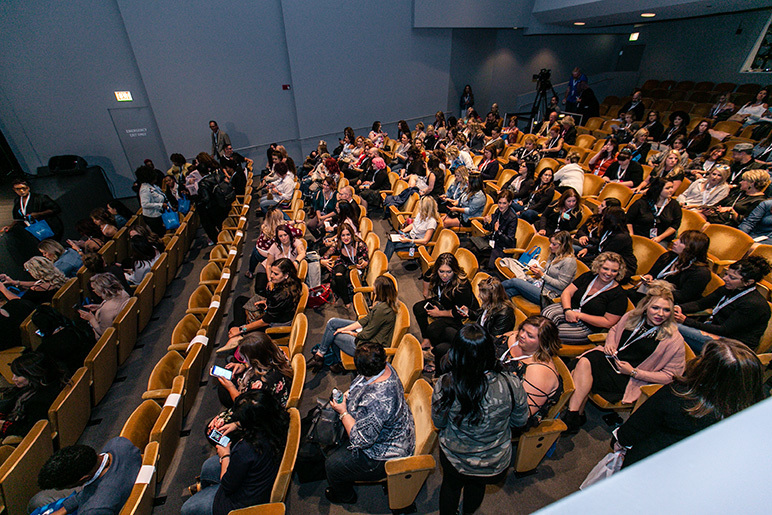 The Sessions are jam-packed, energetic events designed to educate attendees while providing motivation, inspiration, and networking opportunities. On the agenda for San Diego we’ve got you covered with business, marketing and technology education Inspiring Champions, Sola Salon Studios and Robert Cromeans, artistic education from John Paul Mitchell Systems, Pulp Riot and Hattori Hanzo Shears, a vendor expo, Faces of Sola panel, non-hair workshops and so much more! Tickets are On Sale Now! Can’t make it to one of our Sola Sessions? Don’t fret, we’ve got digital webinars out the wazoo! We are constantly creating content to keep expand your mind and your business. If you missed our webinar on “How To Raise Your Prices” you can still watch the recorded video. 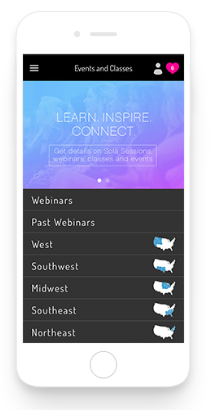 Once you’ve download the Sola Pro app (Education > Events, Classes & Webinars > Past Webinars) you’ll have access to all our past webinars so you can watch on your own terms. We also recommend checking out “Understanding Your Sola Business,” which goes over KPIs and other ways to grow your business. Luckily in the beauty industry, there’s no shortage of amazing events hosted throughout the year! These events cover every topic imaginable, from men’s grooming, extensions, nails, hair, to business-building and marketing. You’re likely to find your favorite industry veteran, influencer, or brand at these events, so come prepared to network, elevate your craft, and, of course, shop! Upcoming events include ABS Chicago, IBS New York, and Premiere Orlando. 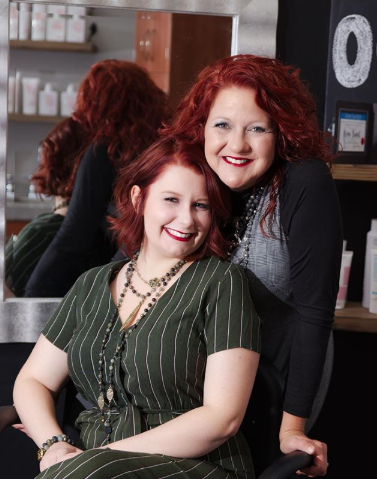 Also, Modern Salon tracks upcoming industry events - for a current list of all regional and national offerings, click HERE. Are you ready to elevate your business with curriculum created exclusively for Sola professionals? Join a live webinar, attend an in-person class hosted by your studio manager, or catch the recording inside Sola Pro! You’ll learn various business and marketing topics ranging from how to track KPIs, create a business assessment, and how to raise your prices. More Sola Pro Live classes will be rolled out throughout the year. 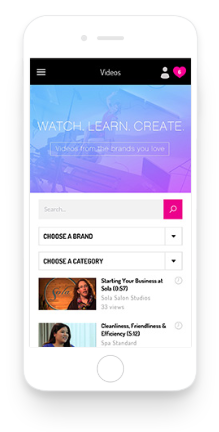 To access the recordings inside Sola Pro, log into the app and click Education > Videos > Filter by Brand (Sola Salon Studios). The beauty industry (and more specifically, our Sola community) is chalk full of amazing people doing amazing things! Find successful Sola salon owners you respect and admire, and watch what they’re doing by following them on social media. You can also look to the 2019 Faces of Sola for artistic and business inspiration. While the power of technology is undeniable, sometimes it’s best to go back to the basics with good ol face-to-face time with industry veterans (which is one of the perks of attending a Sola Sessions event! Or you can organize a coffee talk or happy hour with your Sola family to discuss great ideas and share with each other what’s working. You’ll never regret taking advantage of a chance to learn from a peer mentor! With so much content being created for you, it can be easy to miss something from time to time! We want to make sure you don’t miss a beat, so every Wednesday we send out an e-newsletter with a recap of the latest and greatest in all things Sola. Be on the lookout for important dates concerning the Sola Sessions, Sola Pro, the Sola Blog, industry events, exclusive deals, big announcements and more! Make sure your preferred email address is listed on your Sola website. Easily do this by logging in to Sola Pro then clicking My Sola Pro > Edit > General. There you’ll be able to view and edit your email address and get automatically signed up to our Sola weekly newsletters!